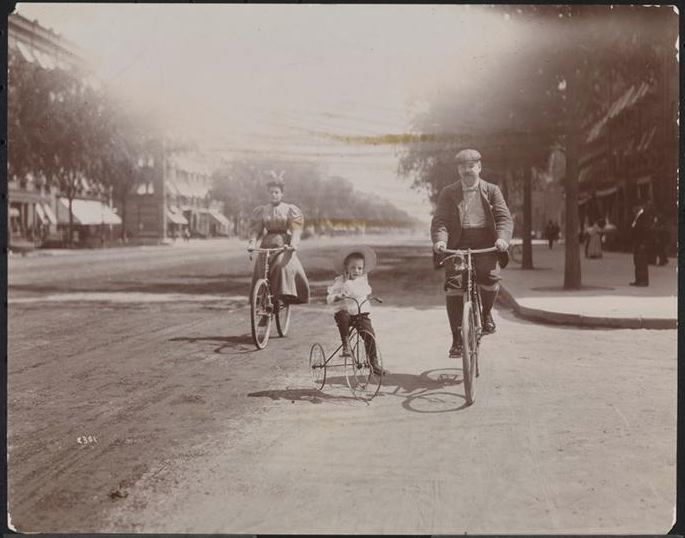 Comments Off on Gotham Cycle Chic, Circa 1896. Click here to leave a comment. 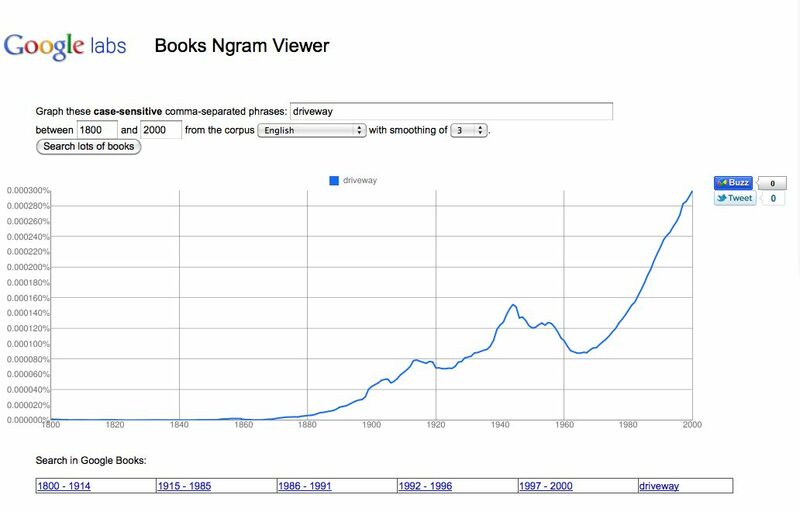 As I’m sure most of you know, Google’s NGram Book Viewer provides an invaluable window, via written texts of the last century or so, onto what the culture was collectively thinking. Not surprisingly, there’s much to be gleaned here from an urban or transportation point of view. Exhibit A is the first word: Pedestrian. 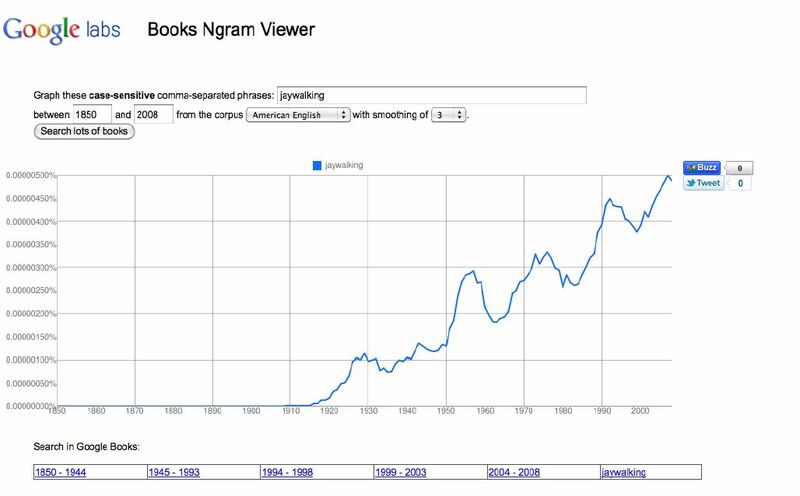 You see that this word, never that popular, essentially held flat, prior to the automobile, when it began to rise. There was a drop-off after World War II, perhaps in response to postwar suburbanization — people were doing less walking. But then it continues to grow year after year, to the present — even as Americans were walking less every year. This is curious on the one hand, but predictable on the other. As people did more driving, and less walking, the notion of what was once a rather common, everyday activity — walking — became a more specialized “mode of transportation,” something to be considered as The Other, something even, dare I say, a bit strange. 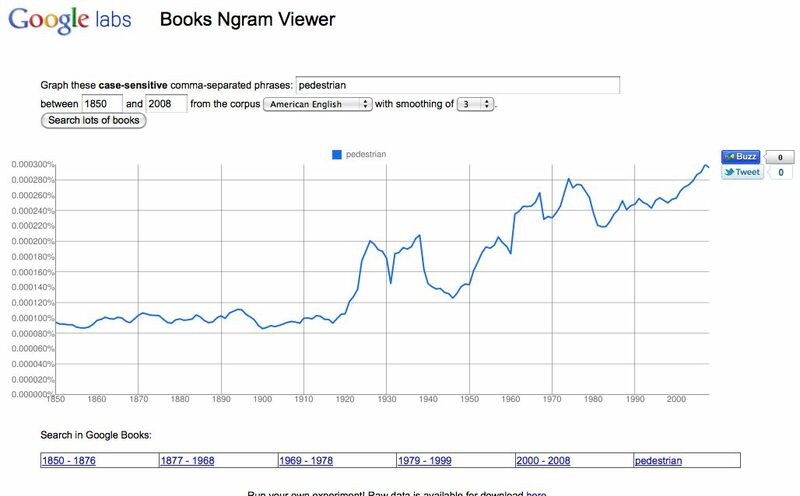 For a sense of what was going on as pedestrian became a more common word, let’s turn to Exhibit B: Jaywalking. Even as fewer people were walking, there was an increased prevalence of the term jaywalking. This reflects the idea, as noted in Peter Norton’s book Fighting Traffic, which I’ve discussed here often, that people on foot — now “pedestrians” — bore a greater responsibility for their own safety (where the burden had once been on drivers); not to mention that they were considered an obstruction to the smooth flow of vehicular traffic and thus worthy of demonization. 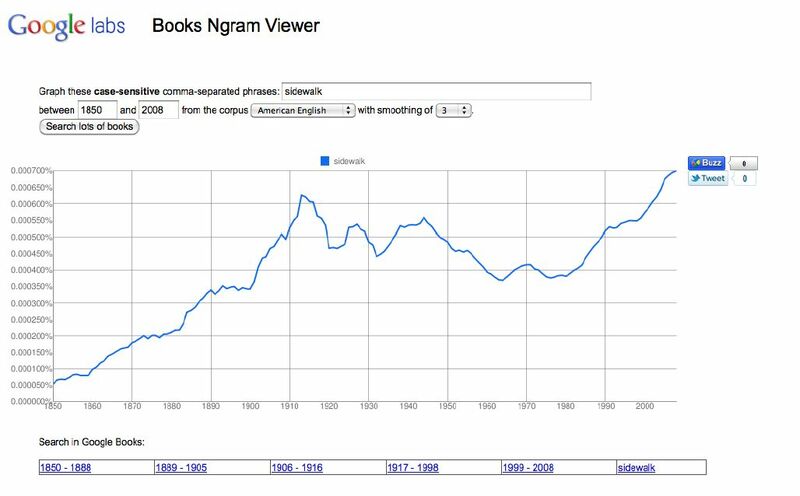 Maybe people were jaywalking more because as, Exhibit C hints at, there were fewer sidewalks in America (that little uplift at the end, however, is an encouraging sign). And, just for fun, Exhibit D shows another form of built space that was on the rise: Driveways. These are found even in places that don’t have sidewalks. Comments Off on Fewer Sidewalks, More Pedestrians. Click here to leave a comment.